Happy Thursday, Y'all! It's time to make sure your Easter looks are ready to go. Here are a few of my favorites for this year for both mother and daughter. 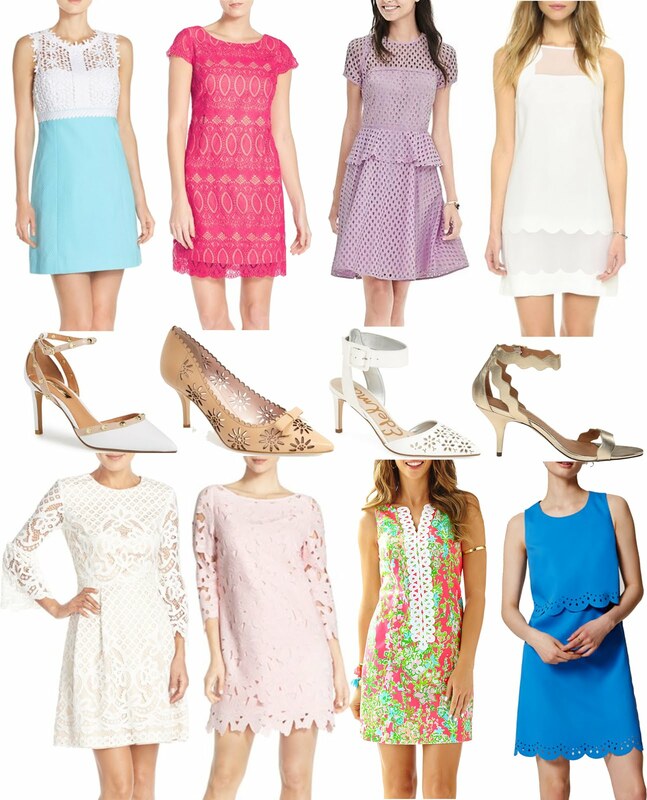 When I think of Easter dresses, pastels, lace and scallops all come to mind. 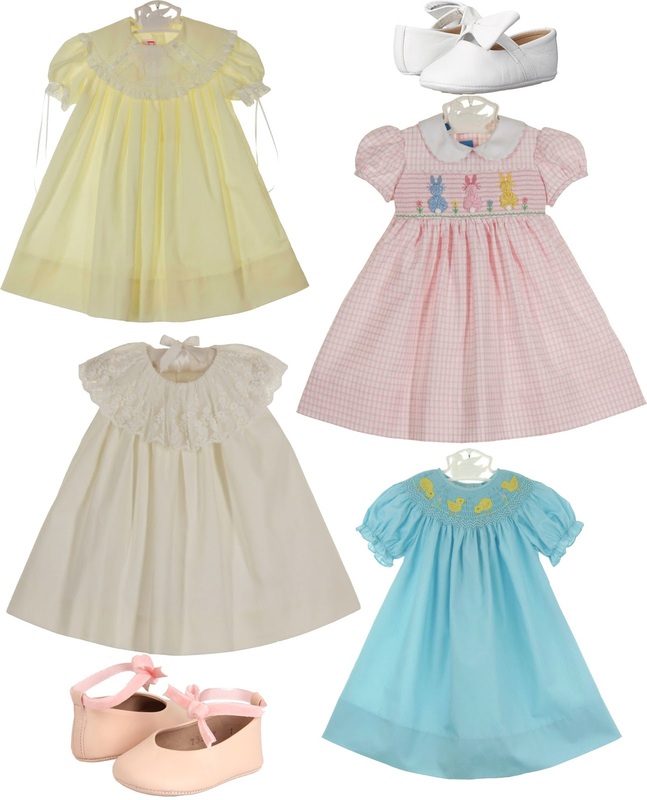 Can you guess which Easter dress is mine? Madeline's is pictured too :) I have had a crush on the Lilly Pulitzer Breakers Shift Dress for forever. I'm also loving the pastel pink lace dress as well. And don't get me started on how sweet the dresses for little girl's are. What are you planning to wear for Easter? I love that blue eyelet dress - such a pretty color on anyone! I love the Lilly Pulitzer Southern Charm shift, it's so cute! I love the eyelet one-so pretty! Hope you'll be posting a picture of you and Miss Madeline in your Easter dress fashions soon.